AODocs authentication is based on Google Accounts. If you don’t have a G Suite or Gmail account and you want to keep your current email address to work in AODocs, follow this procedure. 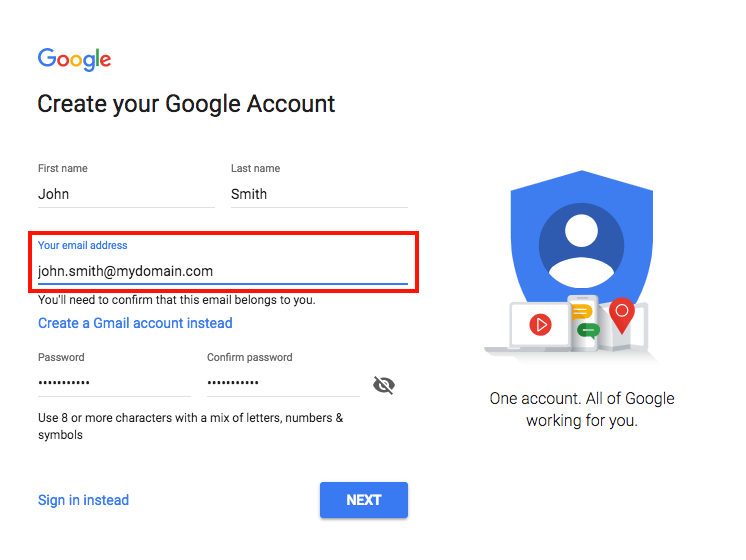 It describes how to create a Google Account associated with your existing email address. This will allow you to access the AODocs and Google Drive interfaces. 2. Enter your non-Gmail address as a Google login. 4. 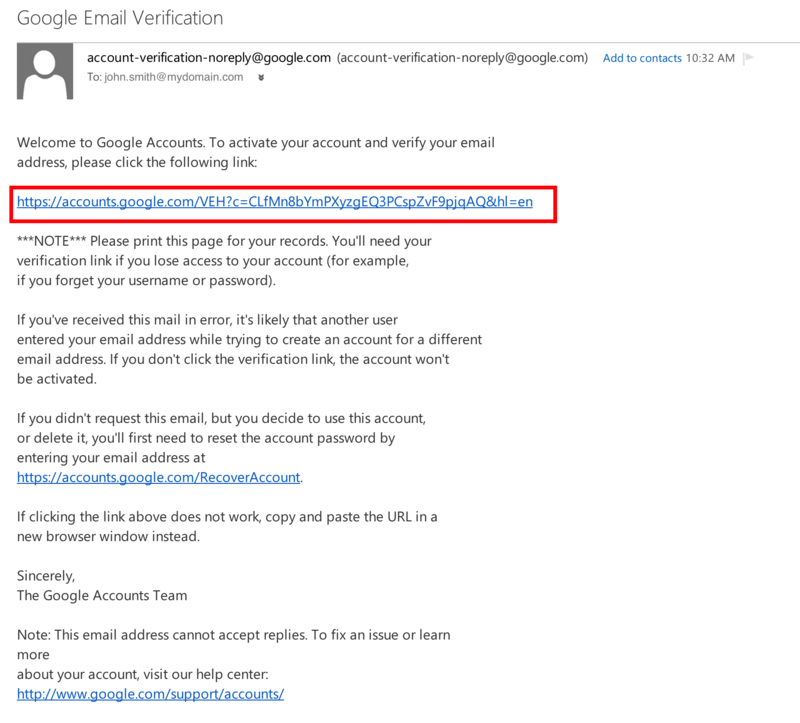 A verification email is sent to your email address. Open the email from your mailbox and follow the link. 5. You are redirected to the Google+ profile creation page. Press No thanks if you don't want to create a Google+ profile. Note: You don’t need to create a Google+ profile to access Google Drive. Press the App launcher in the top right corner. Press the Drive button to access the Drive interface. Note: To access Secured Folders and Document Management libraries, you must be whitelisted as an external user by an AODocs super administrator and be added to the library permissions by a library administrators.